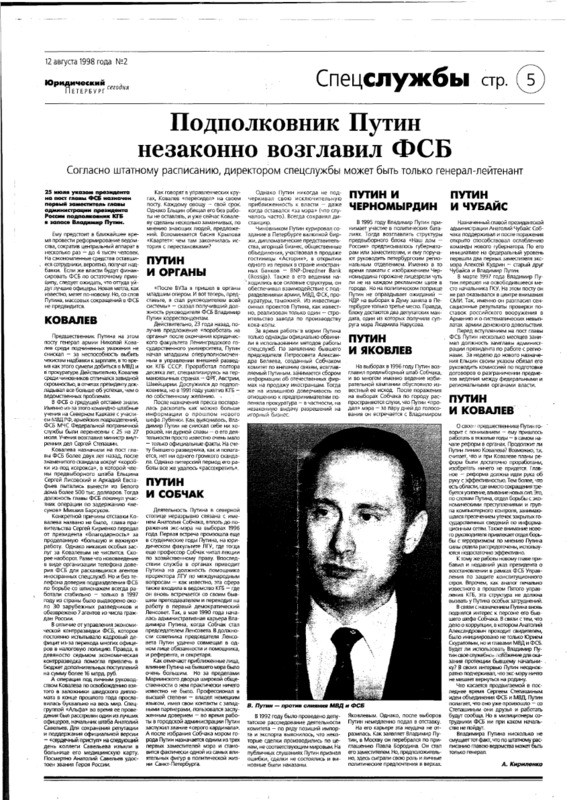 “Lieutenant colonel PUTIN unlawfully heads FSB” — an article in the Yuridicheski Peterburg Segodnya legal newspaper (12 August 1988) by A. Kirilenko. Audit statement (Akt) from the check on financial and economic operations of the joint-stock company, “Construction and Financial Corporation — The Twentieth Trust” (Rus. KORPORATSIA DVADTCATIY TREST) for 1993, 1994, 1994, 1995.